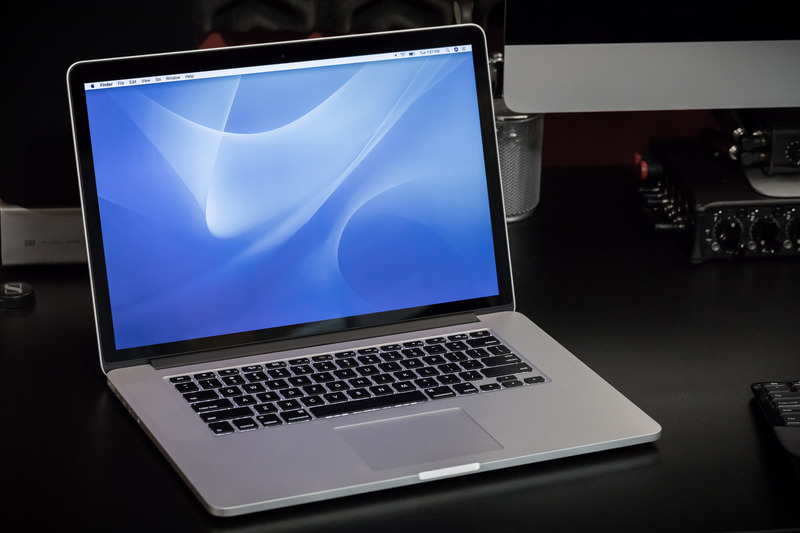 Apple has made many great laptops, but the 15-inch Retina MacBook Pro (2012–2015) is the epitome of usefulness, elegance, practicality, and power for an overall package that still hasn’t been (and may never be) surpassed. Introduced in 2012, less than a year after Steve Jobs died, I see it as the peak of Jobs’ vision for the Mac. It was the debut of high-DPI Macs, starting down the long road (which we still haven’t finished) to an all-Retina lineup. And with all-SSD storage, quad-core i7 processors, and a healthy amount of RAM all standard, every configuration was fast, capable, and pleasant to use. At its introduction, it was criticized only for ditching the optical drive and Ethernet port, but these were defensible, well-timed removals: neither could’ve even come close to physically fitting in the new design, very few MacBook Pro users were still using either on a regular basis, and almost none of us needed to buy external optical drives or Ethernet adapters to fit the new laptop into our lives. In exchange for those removals, we got substantial reductions in thickness and weight, and a huge new battery. There were no other downsides. Everything else about this machine was an upgrade: thinner, lighter, faster, better battery life, quieter fans, better speakers, better microphones, a second Thunderbolt port, and a convenient new HDMI port. 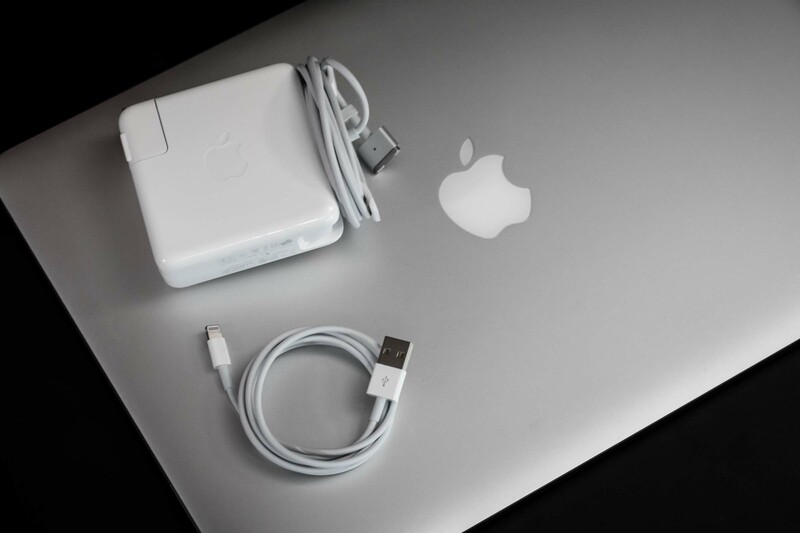 The MagSafe 2 power adapter breaks away safely if it’s tripped over, and the LED on the connector quickly, clearly, and silently indicates whether it’s charging and when the battery is fully charged. The pair of Thunderbolt (later Thunderbolt 2) ports gave us high-end, high-speed connectivity when we needed it, and the pair of standard USB 3 ports — one on each side — let us connect or charge our world of standard USB devices. The keyboard was completely unremarkable, in the best possible way. The crowd-pleasing design was neither fanatically loved nor widely despised. It quietly and reliably did its job, as all great tools should, and nobody ever really had to think about it. 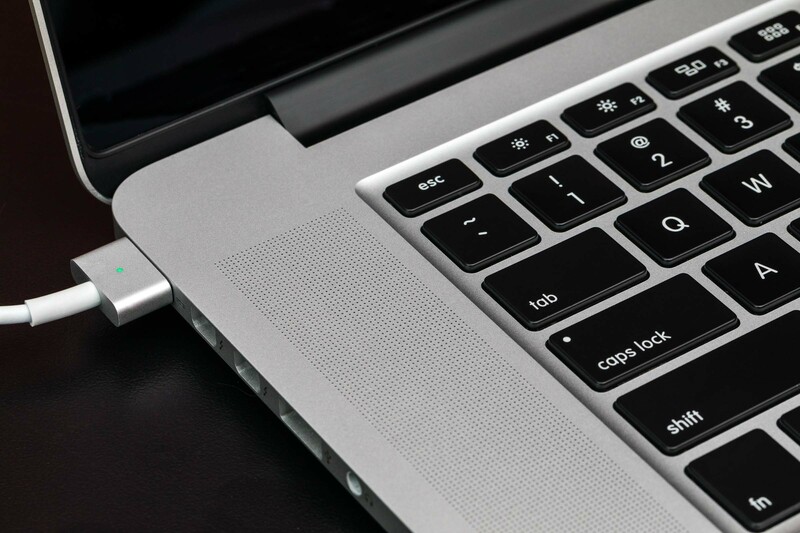 The trackpad struck a great balance between size and usability. It provided ample room for multitouch gestures, but without being too large or close to the keyboard, so people’s fingers wouldn’t inadvertently brush against it while typing. Not every owner needed the SD-card slot or HDMI port, but both were provided for times when we might. 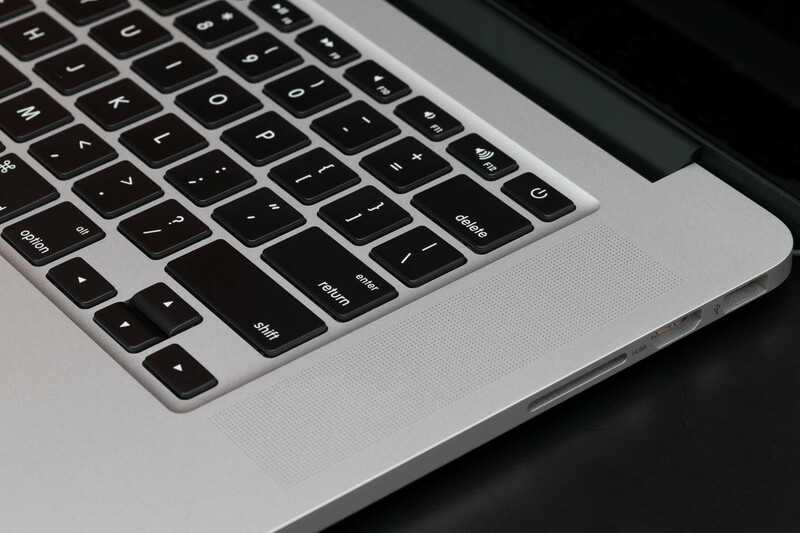 This greatly increased the versatility and convenience of this MacBook Pro, as many pro customers use A/V gear that records to SD cards or occasionally need to plug into a TV or projector. The SD-card slot could also serve as inexpensive storage expansion. The power adapter’s built-in cable management keeps bags tidy. And if you need a longer cable, the extension comes in the box at no additional charge. Versatile USB-A ports allow travelers to standardize on just one type of charging cable that can charge their iPhones and iPads from the laptop itself, multi-port wall or car chargers, portable batteries, airplanes, many outlets, and nearly all other chargers likely to be found in the world around them. The 2015 revision brought the modern Force Touch trackpad and used the space savings to increase the battery to 99.5 Wh, just under the 100 Wh carry-on limit for most commercial airlines. When paired with the integrated-only GPU base configuration, this offered an unparalleled option for great battery life without giving up the large Retina screen. 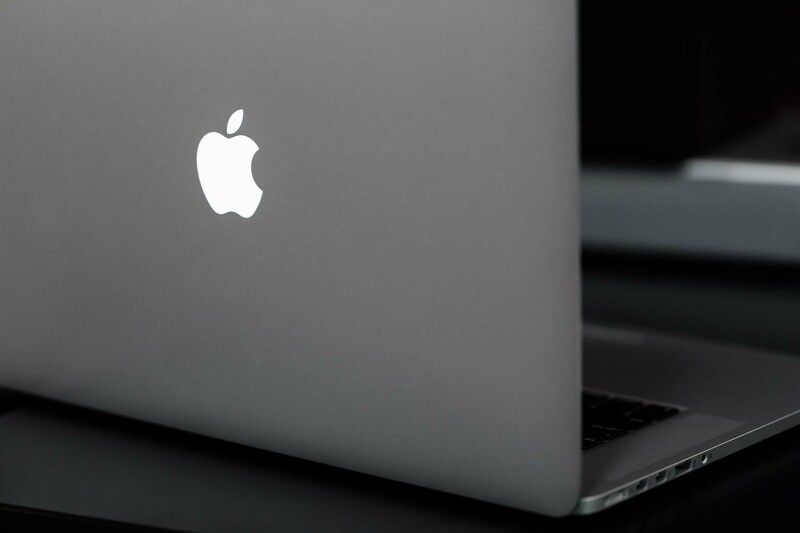 And I like the backlit Apple logo on the lid. Maybe I’m old-fashioned, or maybe I just miss Steve, but it — along with the MagSafe LED and the startup chime — reminds me of a time when Mac designs celebrated personality, humanity, and whimsy. I recently returned to the 2015 15-inch MacBook Pro after a year away. Apple still sells this model, brand new, just limited to the integrated-only GPU option (which I prefer as a non-gamer for its battery, heat, and longevity advantages), but I got mine lightly used for over $1000 less. I thought it would feel like a downgrade, or like going back in time. I feared that it would feel thick, heavy, and cumbersome. I expected it to just look impossibly old. It feels as delightful as when I first got one in 2012. It’s fast, capable, and reliable. It gracefully does what I need it to do. It’s barely heavier or thicker, and I got to remove so many accessories from my travel bag that I think I’m actually coming out ahead. It feels like a professional tool, made by people who love and need computers, at the top of their game. It’s designed for us, rather than asking us to adapt ourselves to it. It helps us perform our work, rather than adding to our workload. This is the peak. This is the best laptop that has ever existed. I hope it’s not the best laptop that will ever exist.